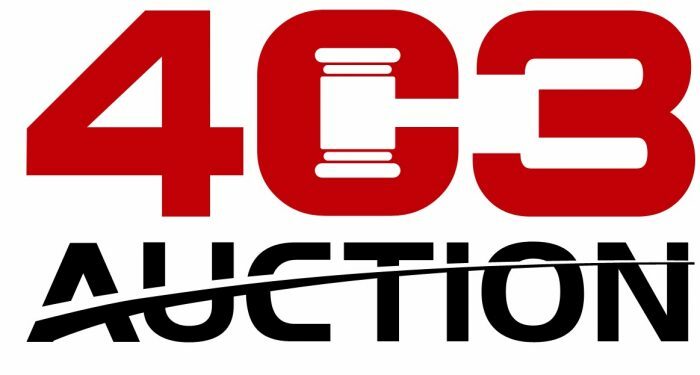 403 Auction is committed to being the premier auction venue in the GTA. We will continue to bring quality merchandise and an ever expanding selection to our regular weekly sales. We will continue to expand our on-site bankruptcy and creditor auctions, as well as grow our monthly consignment sales. We are committed to providing the consignor a good return on their assets, while simultaneously giving our buyers a fantastic deal. 403 Auction is dedicated to providing an enjoyable auction experience for all our buyers. 403 Auction owners are a husband and wife team that started a small weekly Auction in a 4000 sq ft building and have grown it into one of the largest auction venues in Canada with over 22,000 sq ft of space. 403 Auction’s owners have over 30 years combined experience in the Liquidation and Auction service business. We specialize in items that are lost in transit commonly referred to as misguided freight, salvage, OSD or undeliverable merchandise. We deal in the orderly liquidation of a wide variety of merchandise from; Electronics to Film props, Machine Shops to Power Tools, Clothing to Retail supplies, Food to Automobiles and everything in between. No matter what the item, no matter what the quantity, no matter what the size, we can sell it. With our permanent Auction facility, we offer you weekly auction sales of mostly brand new merchandise in both Live and Online Auction venues. We also perform on-site auctions when it suits our clients needs, as well as specialized sales involving Film and TV Props, Set Decoration and Wardrobe , Restaurant Equipment, Industrial and Commercial warehouses, and Retail inventories. WHERE DO THE ITEMS WE SELL COME FROM? 403 Auction sources merchandise from all across Canada and the USA. We receive items from a variety of sources including but not limited to; Lost in Transit, undeliverable merchandise, Unclaimed Baggage, Bankruptcy, Creditors, Trustees, Misguided Freight, OS+D, Consignments, End Of Lines, Overstock and Surplus, Props, Set Decoration, Film and TV Wardrobe to name a few. New items come in on a daily basis, so be sure to check out our weekly live auction sale or log on to view our online auctions regularly ……you never know what you might find.